German airline Condor celebrates 25 years of flying to Costa Rica and celebrates them by expanding flights between the San Jose airport and Germany. From the beginning of November, users will be able to have a weekly flight to Munich, a destination that is offered for the first time from Costa Rican soil, and with three weekly flights to Frankfurt. Carsten Sasse, Business Director for Condor Latin America, explains that from November 8, a flight will be offered for the first time to the International Airport of Munich, leaving Juan Santamaria International Airport every Tuesday. On the other hand, a new frequency is increased to the Frankfurt International Airport with respect to the summer operation, having in total three flights available to this destination, departing from the Costa Rica airport on Monday, Thursday and Friday. Along with this increase in routes, frequencies from San Jose to Santo Domingo are also offered three times a week, and as a novelty, Condor begins to operate the route between the Costa Rican capital and Punta Cana, with a weekly frequency. In this operation, passengers can carry up to 30 kilos of checked baggage without cost. "The increase in the offer of the flights is due to the increase of passengers that has appeared in the last years in the different markets. We are very happy to provide our customers with a greater offer of flights that will allow them to reach their destinations. 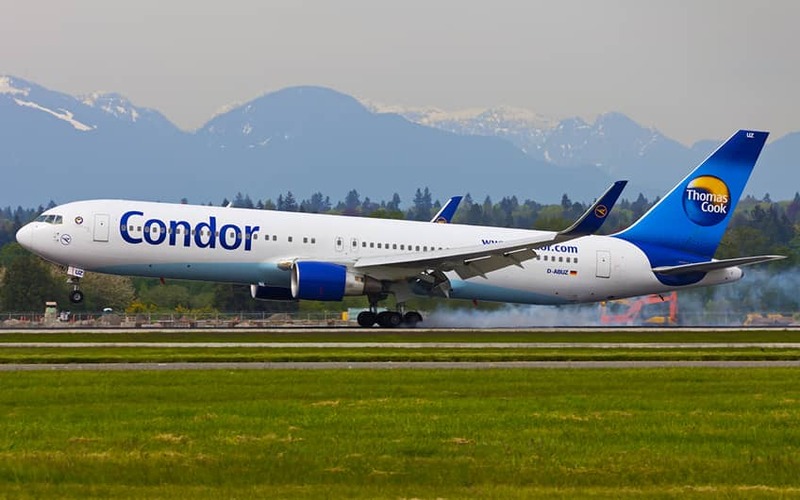 In addition, Condor offers connections from Frankfurt and Munich to all of Europe, thanks to its collaboration with other airlines, so from our airline, Costa Ricans have access to the entire continent, "says Sasse. These long-haul flights will be operated with Boeing 767-300 aircraft, which have a capacity of 259 passengers, of which 18 are in Business Class and 35 in Premium Class. This facilitates a lot the incoming of foreigners looking for business or for unforgettable Costa Rica vacation. Comfort and good service are guaranteed on all Condor flights, whether in Economy, Premium Class or Business Class. Passengers on Intercontinental routes flying in Premium Class will enjoy extras such as comfortable seats with more legroom and greater reclining or priority in billing and boarding. Business Class offers extra comfort thanks to seats with a reclining up to 170 °, a complete personalized entertainment program, personal monitor, plus kilos of checked luggage or gourmet menus, among other exclusive services. Mauricio Ventura, Minister of Tourism, stresses that this increase in frequencies and the new flight from Munich to the country is a reliable indication of the position that Costa Rica as a destiny has in Europe. "We have been reinforcing all the actions of promotion, marketing and the attraction of airlines in Europe in order to take advantage of the great potential of this important market, which only last year registered almost 400 thousand Europeans for all the ports of entry to the country and more than 300,000 entered by air. In this way, we are very pleased that this prestigious airline reinforces its operations and also opens a new route to another German city. Similarly, Condor mobilizes a large number of people from countries such as Spain, Switzerland, Italy and Austria, so strengthening its operations in our country will facilitate the mobilization of Europeans from our main priority markets," explained Ventura. Condor's strategic vision led the company to start operations between the airport in San Jose and Frankfurt in 1991, becoming the only airline to offer a route to the German market, without calling in the United States, establishing Costa Rica as a point of departure. This helped the establishment of a strategic connection with Europe. "This year is very important for Condor, we are really proud to unite Costa Rica and Germany for 25 years and celebrate it by strengthening our offer, it is the best gift we can have. Undoubtedly, it is proof of the great commitment that exists with consumers in both Costa Rica and Europe, as we strive to continue offering new routes for all travelers who prefer us daily, "says Sasse. And you, have you experienced the Condor service? Let us know your comments or enquiries if you want to take advantage of this new shortcut among two continents and enjoy our incredible Costa Rica vacation packages!